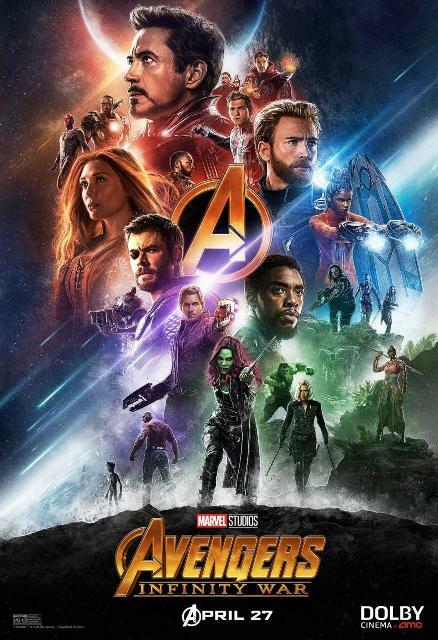 ﻿﻿ Avengers: Infinity War Heroes Gather For Two Stylish New Posters on Readyforgame.com - Free Online Games! Avengers: Infinity War finally arrives next week, and two new posters have been revealed. These follow the long line of trailers, TV spots, and featurettes that have been released in the build-up to the movie. Avengers: Infinity War is directed by Joe and Anthony Russo who previously helmed Captain America: The Winter Soldier and Captain America: Civil War. In a recent interview, Anthony Russo spoke about the challenges of making a movie with so many characters. "This is one of the most complicated movies ever made in many ways," he said. "I think all of us appreciate what a special and unique opportunity this was. No one has ever seen a film like this. No one has ever seen this number of loved characters in a single film with this caliber of cast. And that's really what drove all of us." The Russos have also appealed for fans not to spoil any of the movie's big surprises via a note they posted on Twitter. They asked viewers not to "spoil it for others, the same way you wouldn't want it spoiled for you." Spider-Man actor Tom Holland released his own excellent response. Avengers: Infinity War hits theaters on April 27, so you've got just over a week to catch up on all things Marvel to prepare. If the sheer number of characters involved in the film is a bit overwhelming, be sure to check out our recap of the Marvel Cinematic Universe here. You can also read our coverage of the locations of the Infinity Stones to which Avengers we're expecting to die.